Dr D Digs Up Ancestors: Unintended Consequence? We all are familiar with the stated inheritance of autosomal DNA: 50% from each of the parents then about 25% from each of the grandparents and 12.5% from each of the great-grandparents. But how often does it really happen that way? The 50% from each parent part seems to be an absolute. But are the grandparent contributions to our DNA distributed on a "Bell curve" centered on 25%? Since I was trying to build their interest in DNA testing, I decided to test this hypothesis. At the very least it would give us a chance to talk about the difference between phenotypes and genotypes. This hypothesis was based on physical appearance--hair, eyes, etc. This grandson had already created a minor ripple in the play yard when he was in preschool. He had explained to his classmates the difference between boys and girls using anatomically correct terms. His mother is an obstetrician and had taught her sons the anatomically correct terms for the parts of their bodies. He seemed to be a grandson to whom I could pass on my interest in DNA. Toward that end I decided to test his hypothesis about how his genotype would compare with those of each of his brothers. This meant getting cheek swabs from an active boy who by then had just turned 3. The hardest part was to catch the 3 year old when he had not put food or liquid in his mouth for an hour. The swabbing his cheeks part turned out to be relatively easy by comparison. The results for the 3 year old just came back from the lab and his older brother's hypothesis has been supported. In the bar graph above, the 9 year old is in the middle row and the 3 year old in the back. It appears to me that the 3 year old is more similar to the 9 year old than he is to the now 7 year old (in the front row). However, that does not appear to be the breaking news in this chart. The maternal grandfather contributed only 15% of the aDNA to the 3 year old after contributing 26% and 22% to the older grandsons. In fact the 3 year old inherited more aDNA from his maternal great-grandfather (16.9%) on a pass through among the 35% contribution of the maternal grandmother. The 3 year old first had his DNA screened before he was implanted into his mother's womb. The purpose of this screening was to bypass a heritable and potentially fatal heart defect carried by the maternal grandfather. I have previously posted about Our DNA Day Miracle. Is it possible that in the process of screening out fertilized eggs that carried the Brugada gene, one was chosen that was an outlier from the normal amount of aDNA that would have been contributed by this grandfather? If so it was an unintended consequence. 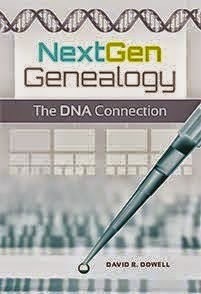 If any of you have any grandparent to grandchild aDNA inheritance data you are willing to share, please send it to me by instant message or email. I should have included in the above post that the results shown are from tests conducted through MyHeritage and the percentages are from an Autosomal Matrix at GEDmatch. A question for clarification: You said the potentially fatal Brugada gene that was screened out in the 3yo was carried by the PATERNAL gf whereas the graph shows the lowest amount of DNA in the back row as being from the MATERNAL gf. Are these both correct? Coffee Mom, your eagle eyes caught a critical error on my part. I have corrected to post above. Thank you. You're welcome. Just one more clarification question, does the "MFM" on the right means maternal grandmother, or something else? Thank you for your help. Your Facebook lead gave (me) the impression that the g-gp in question is the parent of the gp in question. Sorry Israel, it was not my intention to mislead you. Just trying to get your attention and show that the amount of shared centimorgans of DNA are not an absolute indicator of closeness. Not your fault. I have to learn how to read. It's a goal for when I turn fifty-five.